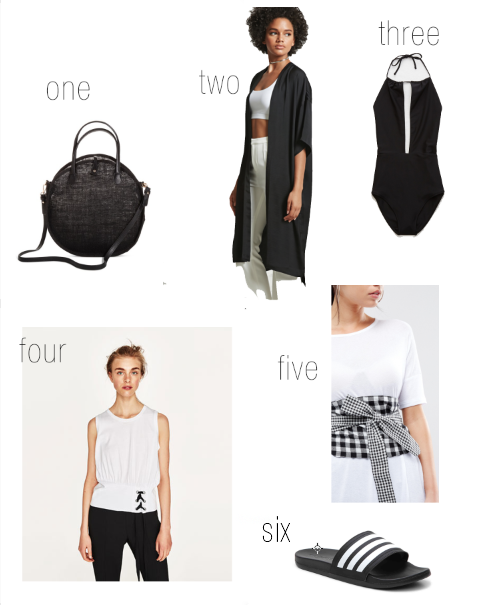 I have found some great spring/summer bargains lately, and wanted to share what I'm loving right now! All of these finds are less than $50. I found this adorable circle bag at Target, and snatched up the last one. It hits both the woven and circle bag trend that is everywhere for summer! The satin kimono cardigan was one of my favorite Forever 21 finds, I plan on wearing this over tanks and shorts, dresses, you name it. Though I haven't bit the bullet on any swimwear yet this year, I love this cutout one piece from Aerie. The corset tee is a subtle nod to the trend that's starting to pop up all over the place, and the gingham obi belt is an edgy twist to the gingham trend. Finally, the classic Adidas slides...they're baaaack! I've been pairing mine with dresses, jeans/tank/leather jacket, and shorts with a tee. They literally go with everything. I would love your feedback on if you want more posts like this as well, so feel free to comment or send me a message!